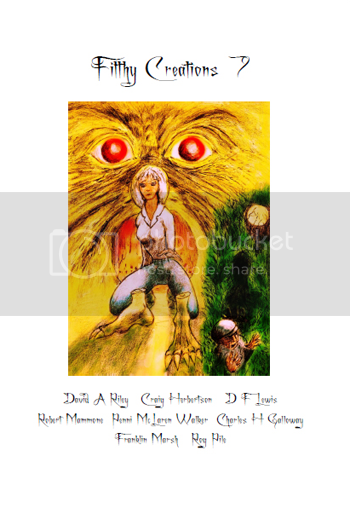 Filthy Creations7 edited and illustrator by the notorious author and pencil man, Rog Pile presents the second episode in a major new serialisation: Sendings (a.k.a Moloch’s Children by David A Riley. Also this issue, part two of my novel, The Death Tableau. There are nine mono illustrations plus a colour cover by Rog Pile.